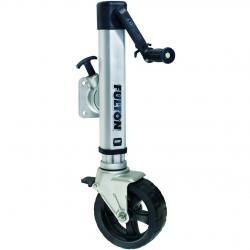 Fulton, the industry leader for high performance marine jacks, is proud to introduce a revolution in trailer jack engineering. The F2, designed for use with marine, recreational and utility trailers, continues the Fulton heritage of innovation rethinking every feature and challenging industry conventions. The result is a re-engineered high quality product that will transform the industry. It’s so strong and reliable that Fulton is backing it with an unprecedented LIMITED LIFETIME WARRANTY.